Notley’s vision was outlined in a throne speech delivered Monday. Crafted by the sitting government, the speech is a parliamentary tradition read aloud by Alberta’s Lieutenant Governor during a special ceremony. While speaking about the final throne speech before a spring election, Notley talked about her government’s accomplishments. 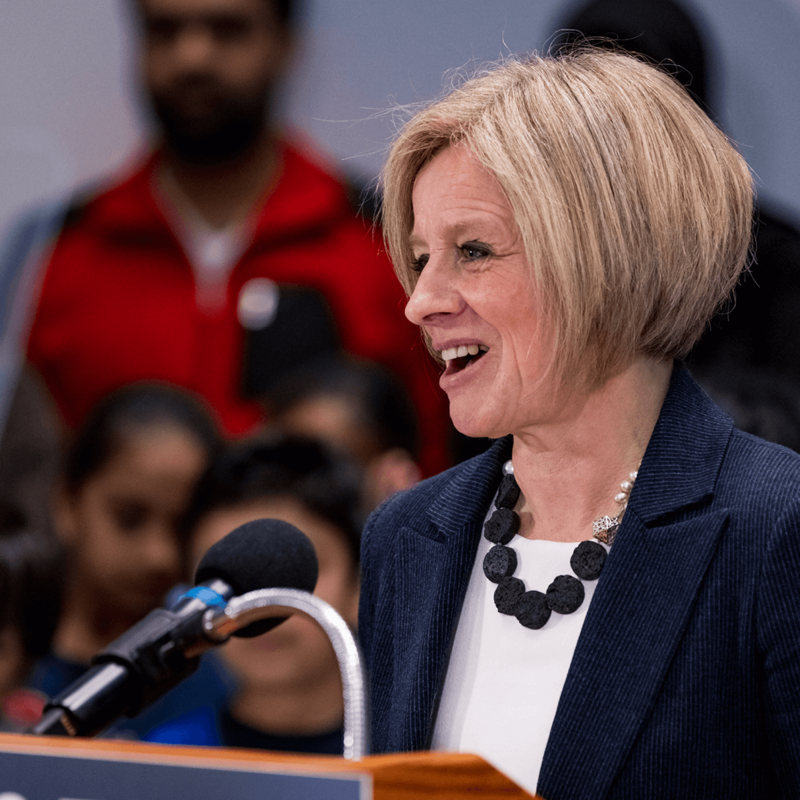 The wide-ranging speech addressed the difficult choices Notley faced after the 2015 election, when the province suffered one of the most dramatic oil price collapses in generations. Boom turned to bust. Tens of thousands of Albertans lost their jobs and billions of dollars left the provincial treasury. For decades, Albertan governments responded predictably to these price drops, squeezing the middle class while cutting necessary supports for vulnerable people. Notley took a different approach. She ensured everyday Albertans would come first. She tackled a political culture tilted towards insiders, special interests and wealthy donors. Government travel and hospitality budgets were slashed by 80 per cent, entitlements and perks were cut on government boards. For decades, Albertan governments responded predictably to oil price drops, squeezing the middle class while cutting necessary supports for vulnerable people. Notley took a different approach. The new government built or upgraded more than 240 schools. New hospitals and major infrastructure investments were built or planned. Notley defended energy jobs and fought for the Trans Mountain pipeline. In addition to the largest energy diversification effort since the days of Peter Lougheed, Notley fought for stronger manufacturing, renewable and high tech sectors. The throne speech also outlined Notley’s priorities going ahead. Against Jason Kenney’s calls for more privatization of health care, the speech officially introduced Bill 1, An Act to Protect Public Health Care. The act will prevent American-style health care from creeping into Alberta. The speech also outlined Notley’s priorities on education, affordable child care, efforts to continue reducing child poverty. The speech concluded with a call for a united Alberta, a call to restore trust in government, create good jobs and defend public services.